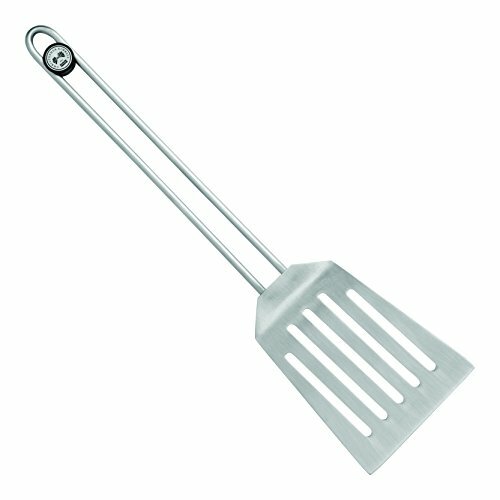 Our Stainless Steel spatula is perfect for turning meats, sautéing vegetables, pancakes, fried eggs, home fries, chicken, and much more. The thin leading edge gets under almost anything yet the blade is stiff enough to handle heavier items such as burgers. This cooks’ tool is part of the Christopher Kimball for Kuhn Rikon collection. Each piece in the collection is identified as an essential for the everyday cook. Stainless Steel construction is elegant and durable. Open handle design allows for easy hanging.